Rumor has it that Apple is working on its own smart watch, which will reportedly be dubbed iWatch. Well the TheDogHouseDiaries has posted a comic, which gives a fun look at the mobile space right now. 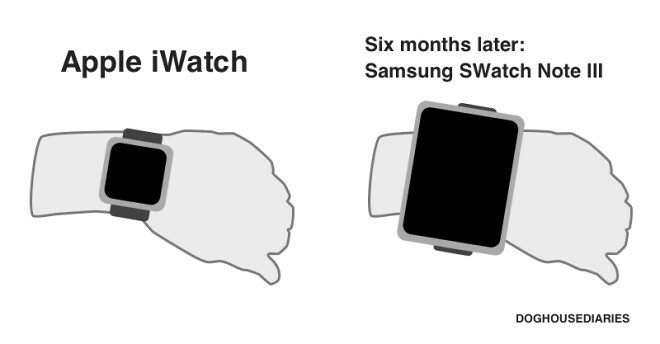 Personally I love the name – “Samsung SWatch Note III”. Of course it’s all meant to be a lighthearted joke, so all those extreme fanboys of either camp please try to look at its fun side and instead of going overboard with some pointless analysis.